Mestizo river is a green-colored water, which reflects the natures beauty, with some fishpens situated along side of this river. Some locals goes swimming also and residential houses could be also seen along side this river. Here are some of our photo souvenirs and behind the scene shots while cruising this Mestizo River..
What makes this river unique to the river's i've been....it has five stations that depicting the Mestizo river ha played a dominant role in shaping this town, Vigan's as a cultural heritage town. While in the river each boat has recorded narration for each of the stations, how this river was involved in the town's history and livelihood. 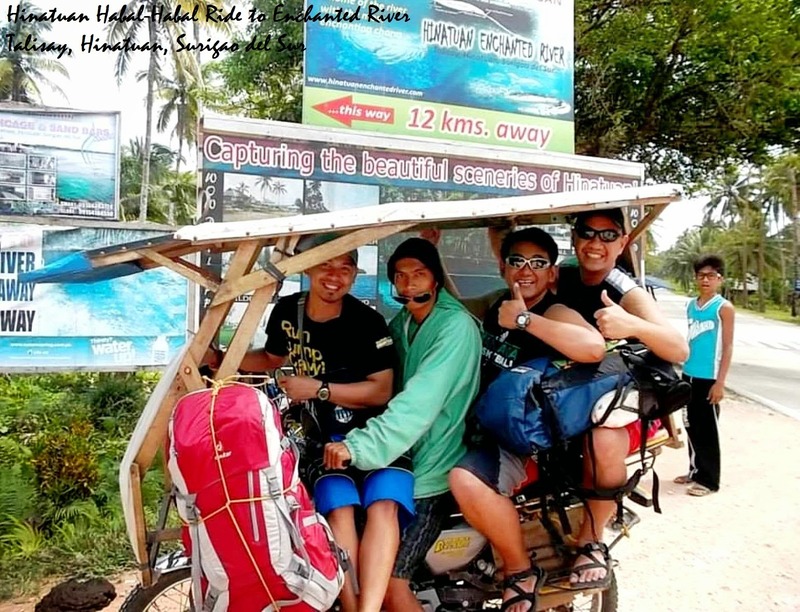 Classical and ilocano folk music will be heard throughout the cruise, and to a tour guide also explains more about the stories of the Mestizo River. First station at Brgy. Tamag, shows the depiction of barter trade with the Chinese. The name of the river was inspired of them. At the mouth of the river Chinese traders traded porcelains, silk, lacquer, and enamel indigenous products such as gold, animal skins, and etc. Second station at Brgy. Beddeng Laud, shows the origins, why this town named as "Vigan". In 1572, Captain Juan de Salcedo established Villa Fernandina de Vigan. "Vigan" comes from bigaa, heart shaped leaves that were abundant on the river. As of now fishing nets and fishpens can be seen on each sides of the river. Third Station at Brgy. Cabalangegan, shows all about the religious history of Vigan. This station depicts the Diocese of Nueva Segovia to which Vigan belongs to. In 1576, an encomienda system was developed. The Diocese of Nueva Segovia covered almost all of Northern Luzon. This station has sculptures of priests and ordinary folks interacting to each other. In 1603, the town served as the de-facto seat of of the diocese because Lal-lo, Cagayan (then the official seat) was constantly flooded. It was 1758 when Vigan became the official seat of the diocese. Fourth station at Brgy. VI - Pagpandayan, the town's traditional industries. This station shows colorful sculptures of people making pottery. Pagpandayan is a part of Vigan, named after the town's traditional blacksmithing industry. Were the metal components of ancestral houses was made. Last station, located along Brgy. Pagpartian, this station shows the Vigan's food industries. Vigan's slaugterhouses, known as "Matadero Publico", is situated here. Brgy. Pagpartian is town's most important source of home-processed food producs like Spanish-inspired Vigan Longanisa, Bagnet (deep fried crunchy pork), Sinaglao, Dila-Dila, Cascaron, and Dudol. Some snacks were also made here like miki, empanada, and pipyan. After all this station, the boat goes its way back to the dock, traversing the same path in opposite direction. A recorded narration tells why Vigan was able to preserve it's vibrant past. During World War II, Fujihima Takayashi successfully convinced his fellow Japanese soldiers to spare this town from the ravages of war. As a result the town's heritage and traditions were made intact untill now. 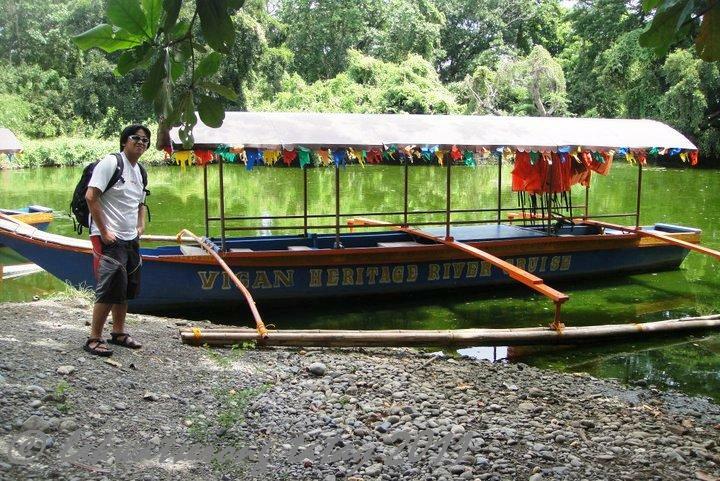 Vigan River Cruise was made possible thru efforts of City Govt of Vigan and University of Sto. Tomas (UST), wayback 2006, a collaboration of cultural mapping of the tangible and intangible heritage of the city, to enhance more Vigan's heritafe sites. 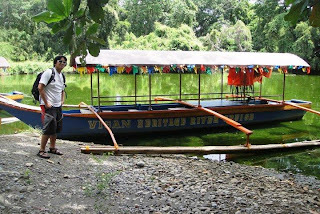 Sad to say, this river cruise is not yeat as popular destination among Vigan's tourists sites, due to lack of promotion and proper marketing, so maybe why this river was chosen to be the destination of our 1st travel mission. Where we have to catch 4 fishes in one of the fishpens along this Mestizo River in a specific given time. Luckily for us we manage to finished that task and 1st travel mission been accomplished. For inquiries, you may reach out thru Mayor's office: (077) 7222466 or information office: (077) 7228771.
astig pre very informative! sana ganyan din sa ibang historic spots sa pinas! Nice to read about this. Interesting blog. 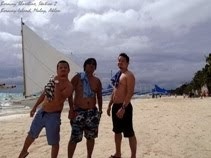 "X-ploring Our Country's Finest Tourist Destinations" © Lakwatserong Tatay 2010. Simple theme. Powered by Blogger.